The 2016 graduates from the Digital Arts and New Media (DANM) MFA Program are presenting their work in the exhibition, Blind Spot. Thirteen artists are creating and iterating within realms not easily decipherable and detected in the conventional art world. Each artist has worked in the critical spaces of game design, performance, post cinematic space, scientific theory, economic systems, or interactive media to resist and expand long-established, canonical meanings of art. The title of the exhibition refers directly to the punctum caecum or blind spot. It is the area of the eye where photoreceptors do not exist, hence the inability to render or detect an image. In order to see what is in our blind spot, we must shift and alternate our positioning or gaze. But it certainly does not mean that which we cannot see does not exist. In a metaphorical sense, these artists create in such a space that requires the viewer to move and shift for the work to be seen and experienced. In the works of Nick Andrade and Hope Hutman, the defining features commonly known to traditional theater are shifted into experimental performances. Andrade explores Narco culture through an interpretation of Shakespeare’s Macbeth while Hutman’s participatory work defies the limits of theater and improvisation through the ecosystem of social media-based platform Twitch.tv. Cultural critique is prevalent in the works of Timothy Furstnau and Andrea Steves as they collect, archive, and create a taxonomy of capitalism examining aspects of this global economic system that grows increasingly more complex with advancements in technology. The sculptural nature and visual aesthetics of David Harris’s work look at alternative perceptions of color in our contemporary world and our limited field of vision by exploring such topics as unprintable color. Artists Sarah Fay Krom, Marcelo Viana Neto, Adrian Phillips, Ben Spalding, and Michael Thomét approach game design in unorthodox and provocative ways. Krom’s work is influenced by the German Expressionist style and engages the viewer in a visual language that transforms the cinematic frame into a playable space. Viana Neto pulls inspiration from Augusto Boal’s Theater of the Oppressed and participatory economics into a game design pedagogy that encourages the creator to go beyond the commodification of game development. In opposition to frontier fantasy games, which leave little room for dialogue, Phillips creates an experience where players directly engage with one another in a colonial dynamic to elicit conversation around a complicated issue. Critical software development and design play an integral role in Spalding’s work as he explores how multi-player narrative design can be done through an art-making context. In Thomét’s work, the player is confronted with alternative experiences and narratives based on his research of player psychology and playing styles. Sean Pace’s C.R.A.W.L.E.R., the Community Roving Artists Workshop Lab for Educational Research, serves as a platform for arts outreach, social justice, and field research. The converted military vehicle doubles as a critique of existing educational systems through the subversion and reimagining of older military technology that was once purposed as a defense mechanism and now aims to foster an “artist to artist” co-creating relationship. In Steven Trimmer’s Vocal Landscaping, the participant engages with a voice interactive sound installation based on his research of modal vocalization. 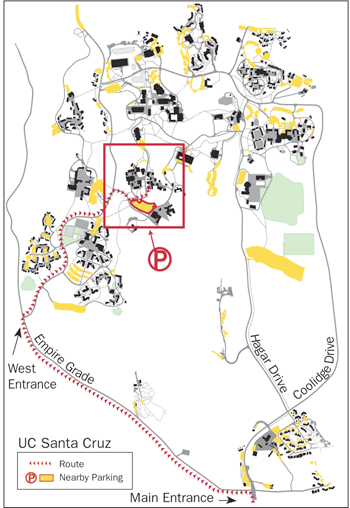 The participant’s musical voice is used to navigate the landscapes and unlock sound puzzles. Each voice then becomes a part of a larger vocal catalogue. Another sculptural work for the exhibition is Zach Corse’s Encodings in Space and Time. Corse’s work is an immersive large-scale installation influenced by physics, information theory, and the course of Japanese glass fishing floats known to cross the North Pacific gyre. The overall design of the work pulls from the artist’s study of gravitational lensing, a result of Einstein’s theory of general relativity, and irreversible transformations on Earth wrought by human hands. Dorothy R. Santos is a writer, editor, and curator whose research areas and interests include new media and digital art, activism, the Internet, and biotechnology. Born and raised in San Francisco, California, she holds Bachelor’s degrees in Philosophy and Psychology from the University of San Francisco, and received her Master’s degree in Visual and Critical Studies at the California College of the Arts. Her work appears in art21, Art Practical, Daily Serving, Hyperallergic, and Public Art Dialogue. Her essay “Materiality to Machines: Manufacturing the Organic and Hypotheses for Future Imaginings,” will be published The Routledge Handbook of Biology for Art and Architecture in 2016. Rappaport, Scott. 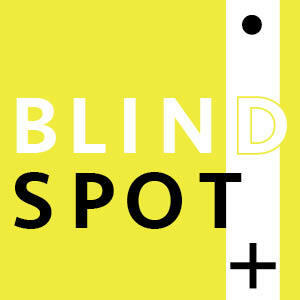 “Digital Arts & New Media Graduate Exhibition to Focus on the Blind Spot.” UCSC News & Events. 7 Apr. 2016. We are happy to be able to share these great photos from the exhibition. The Digital Arts and New Media (DANM) MFA Program serves as a center for the development and study of digital media and the cultures that they have helped create. 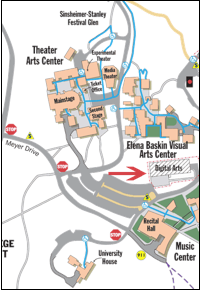 Faculty and students are drawn from a variety of backgrounds, such as the arts, computer engineering, humanities, the sciences, and social sciences, to pursue interdisciplinary artistic and scholarly research and production in the context of a broad examination of digital arts and cultures.